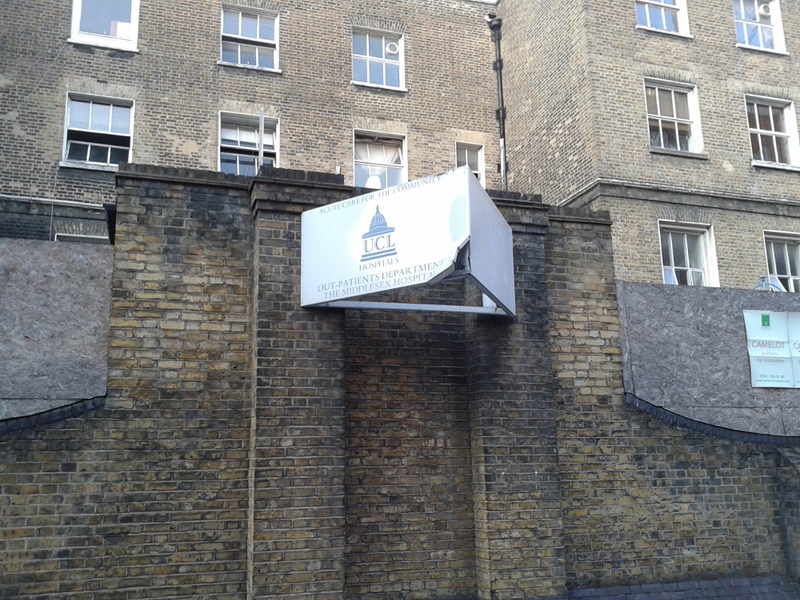 A bent UCLH sign hangs in front of the former Middlesex Hospital Annex and Strand Union Workhouse building on Cleveland Street. UCLH want to modify an agreement made with Camden Council. 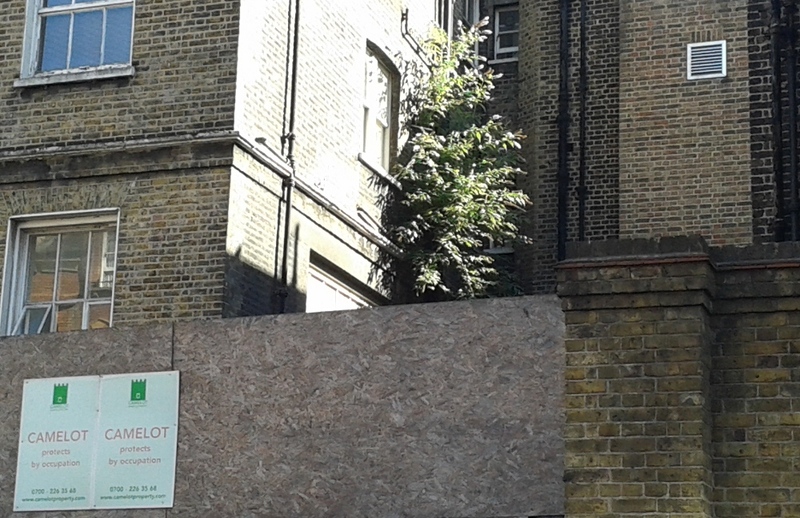 By News Reporters UCLH NHS Foundation Trust is seeking to remove a section 106 agreement to provide social housing on the site of the former Strand Union Workhouse on Cleveland Street. UCLH say the obligation to provide the housing together with the recent heritage listing of part of the former workhouse is "blocking development and cannot be said to serve a planning purpose". The s106 agreement which was signed in 2004 consolidated two agreements made previously in relation to the planning permission for the new 650 bed hospital on Euston Road and a planning permission for what is known as the Odeon Site on Grafton Way. The agreement also contains a penalty clause that allows Camden Council to require UCLH to transfer the land to the council for a nominal sum of £1. The deadline for the clause to come into effect expired on 1 June 2010, but Camden have so far not exercised its right to acquire the land for affordable housing. Now UCLH has submitted a planning application to Camden to vary its obligation to provide 44 social housing units, extract itself from the penalty clause and says it ultimately wants to replace the agreement with an affordable housing obligation tied to a planning permission for the workhouse site. The move comes in the wake of an announcement in July when UCLH invited the public to an exhibition outlining plans for redevelopment of the former workhouse site with around 100 homes. UCLH said it intends to submit a new planning application this autumn. 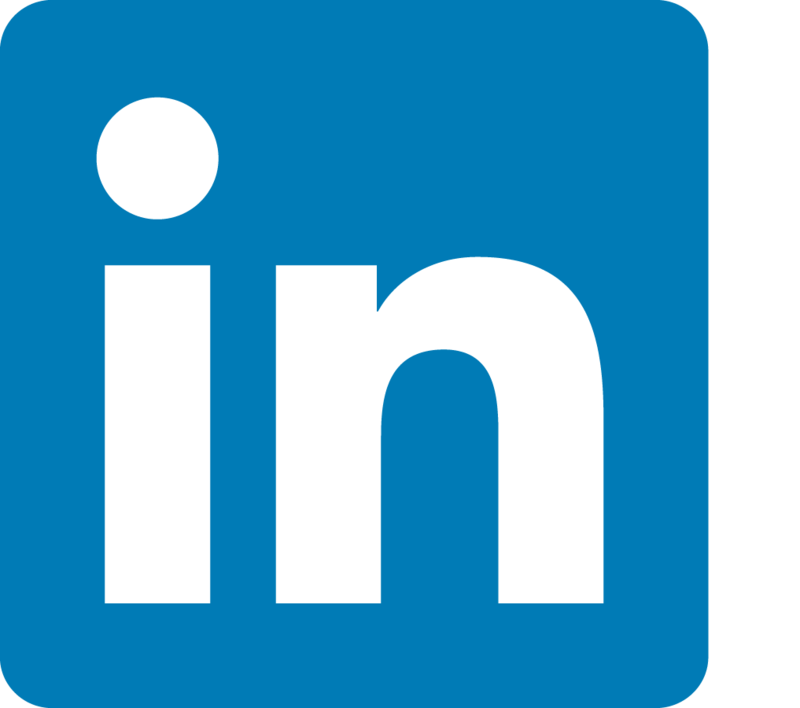 Included with the application to remove the affordable housing obligation is a letter from BNP Paribas Real Estate. In the letter supporting UCLH Robert Bexson writes: “The s106 Agreement contains both a clause (“the £1 clause”) and ambiguous wording relating to affordable housing which destroys any ability for the Trust to successfully present the property to the market and attract interest from developers”. Buddleia sprouts from a wall of the Grade II Listed former Strand Union Workhouse. The site was used at the Middlesex Hospital Annex until it was vacated in 2005. However, UCLH and its application to remove the s106 agreement has been criticised by local community groups the Charlotte Street Association and the Fitzrovia Trust. 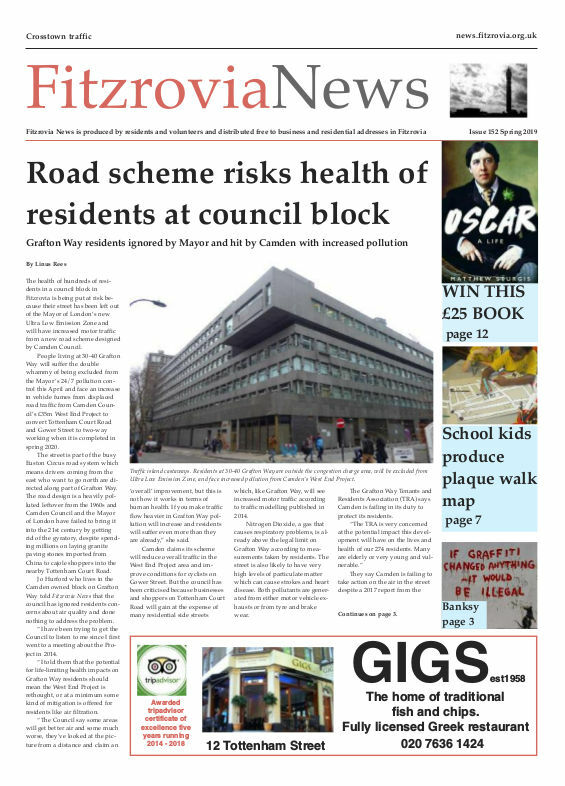 “It is hardly surprising that given the Council’s supine response over the years to UCLH’s prevarication and procrastination in implementing the s106 agreement that they should seek formally to renege on their legal obligations. Their case for so-doing is wholly without merit,” writes Max Neufeld of the Charlotte Street Association in an email to Camden. The s106 agreement with Camden Council required UCLH to submit a planning application by 2007 and deliver the affordable housing by 2010. If UCLH didn’t comply Camden could acquire the site for £1. The Fitzrovia Trust has also written to Camden objecting to the removal of the affordable housing obligation. In an email Nick Bailey writes: “There is no evidence submitted that a housing development on this site is per se not viable. The letter from Bank Paribas makes no such case and provides no figures.” Bailey says there are “no convincing reasons” to release UCLH from its s106 obligations and Camden should also exercise its right to buy the site for £1. Planning application: 2013/5050/P Middlesex Hospital Annexe 44 Cleveland Street London W1T 4JT.